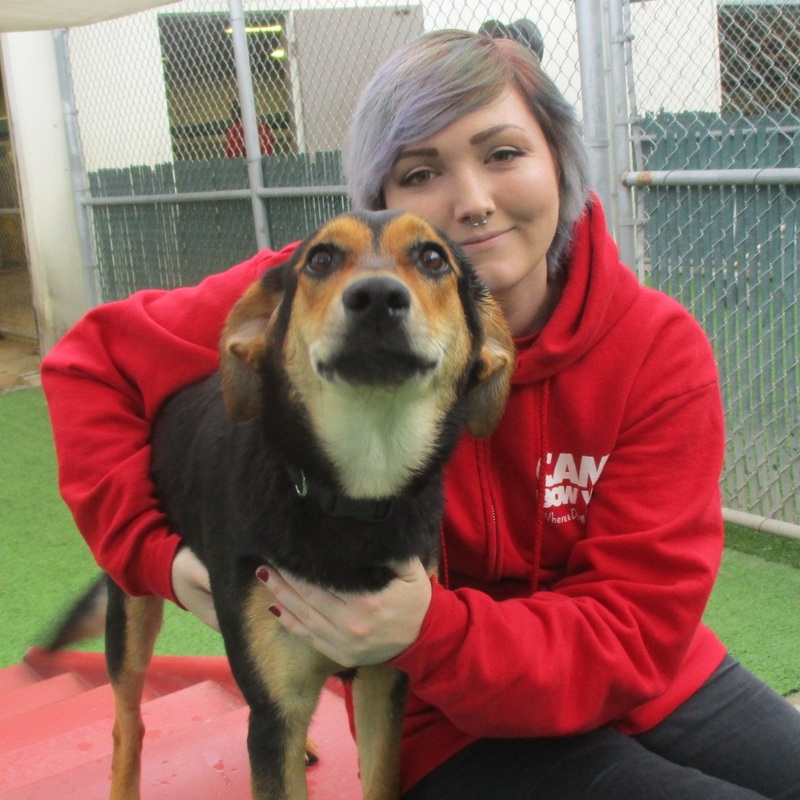 At Camp Bow Wow Anaheim, we believe every dog should have a loving fur-ever home. We work closely with local shelters and rescues to help with their adoption efforts, and often have foster dogs staying at Camp. These dogs get to play all day with other Campers, snooze the night away in individual Cabins, and get lots of love and attention from our Certified Camp Counselors®. Personality: Marci is a beautiful 44 pound girl. She is incredibly sweet and is good with dogs of all sizes and ages. Marci is potty trained, crate trained and knows basic commands. She has lots of puppy energy and would love to find a family that will give her lots of exercise. Marci likes to focus a little too much on cats so she would be best in a cat free home.